Lakepointe Villas: a popular collection of spacious family friendly townhouses. 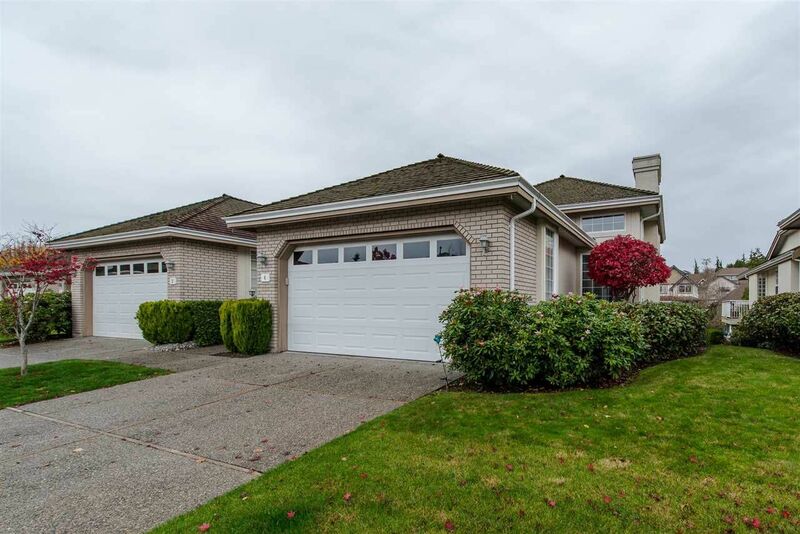 You'll appreciate this bright 3 bed and 3 bath end unit rancher with full walk-out basement. Tastefully updated with a modern touch including laminate floor, recent designer paint, s/s appliances and washer/dryer, refreshed kitchen cabinets, new blinds, new toilets, new handles and more. Feature 12' vaulted ceiling in living room and 9' ceilings throughout. Other features: 2 gas f/p's on main, laundry above (hook-ups also below), balcony off kitchen/family room, patio off basement, walk-in closet, large storage/workshop area in basement and more. Very well kept home and certainly worth a look! Well run strata allowing 2 pets (dogs 18" height).